PRESENTING- The Arizona State Sun Devils. Pretty much college baseball royalty. Year in, year out, AZ ST is in the conversation for Omaha. 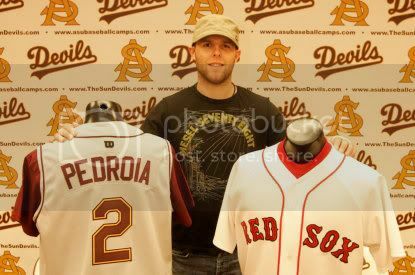 They boast alums like Dustin Pedrioa (below), Barry Bonds, Andre Ethier, Reggie Jackson; have made it to the College World Series 21 times; qualified for the NCAA tournament 10 straight seasons; and they boast 5 NCAA championships. To put it bluntly, Arizona State is the gold standard to which all NCAA Baseball programs are measured. 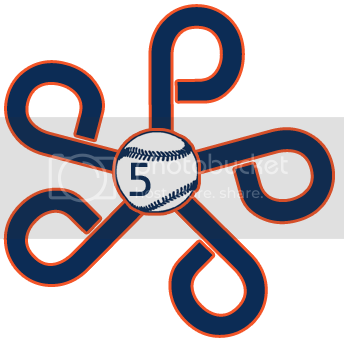 This year they come in ranked in every baseball poll: 3 (NCBWA), 11 (Baseball America), 3 (USA Today), 6 (Rivals.com) and 2 (Collegiate Baseball). Outside of LSU, Arizona State will be the toughest team Auburn faces all season. PREVIOUSLY The Devils haven’t exactly been tested so far this season. They come in with a perfect 12-0 record and 7 times this season they’ve held opponents to 2 or fewer runs. In addition, ASU has scored 8 or more runs in 9 games this year. It’s a team that is stacked from top to bottom. 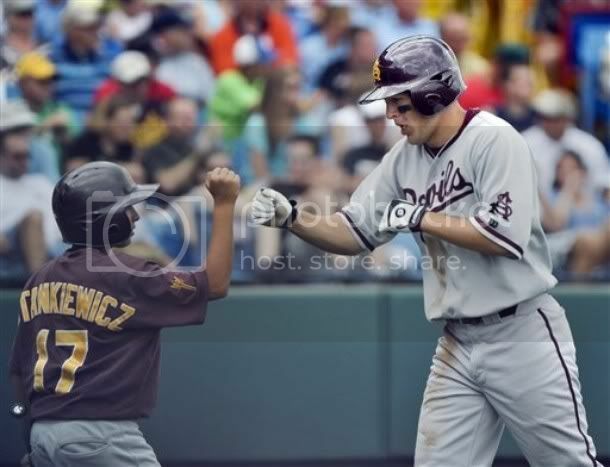 Historically, the Tigers and Sun Devils have met 6 times with ASU holding a 4-2 series edge. 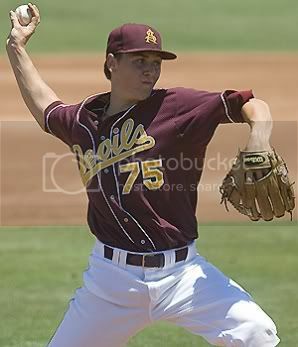 Auburn took those only two wins in the 2007 season, when the Orange and Blue stole the series from the Maroon and Gold. PLAYMAKERS- It’s really hard to pick just one on the ASU roster (a roster which boasts 22 players who’ve been drafted by the MLB). Offensively the focus will be on Sophomore Infield Zack Macphee (above) A former PAC-10 Player of the week, NCBWA Hitter of the Week, and Louisville Slugger of the Week, Macphee exploded during his opening weekend. He hit a cool 8-11 (.727) scoring 7 runs, 8 rbis, and recording 4 triples. On the season, he’s hitting a solid .564 with 16 rbis, 7 triples, and 15 runs scored. He’s also a speedster and is a perfect 7 for 7 on stolen base attempts this season. But realistically, you could just throw a dart and pick any of ASU’s everyday players and call them a playmaker. 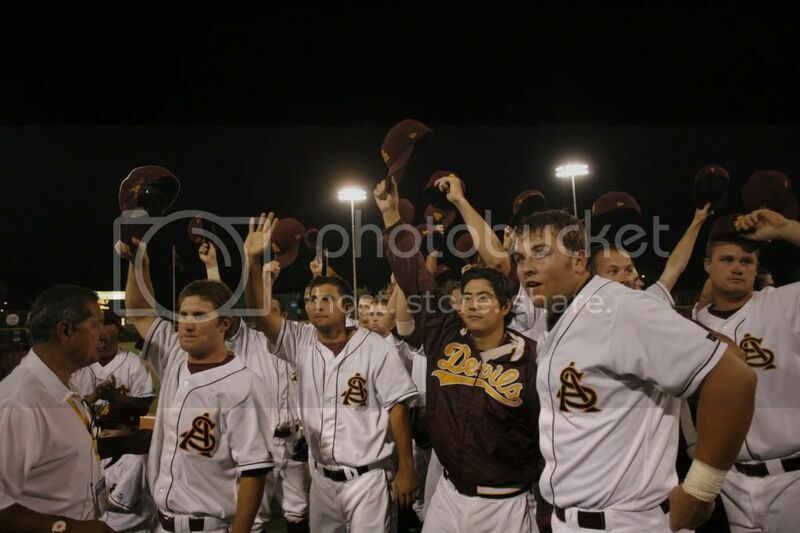 The Sun Devils boast a team batting avg .372 and have numerous players who are hitting close to or around .350. "This is a big series for us to gauge where we are. The competition level is ratcheted up this weekend when you are talking about facing a team that is No. 2 in the country. They are very talented and this is a good test. This is what playing in the SEC is all about, going on the road and playing good teams in tough environments." A tough environment is an understatement. 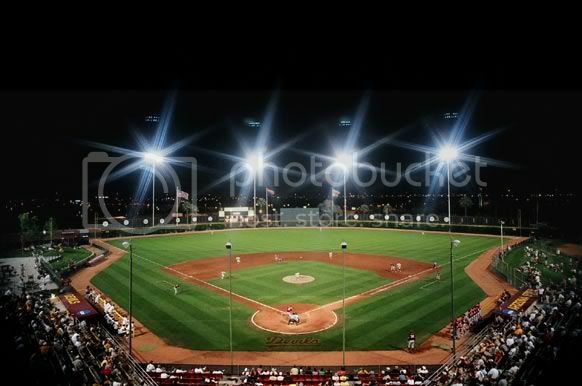 Packard Stadium (below) will be rocking this weekend. The field is a plain and simple as ball park come. No weird outfield dimensions, no flashy features, just honest to goodness real baseball. At least 4,000 fans pack the place out each game and they know their baseball. That’s the tale of the tape. Auburn might have a bit of the edge in the power department, but Arizona State is one of the most aggressive teams on the base paths in College Baseball. The Devils don’t normally bother with bunting guys over (only 4 sac hits on the season) but instead use their natural wheels to take extra bases. They can easily turn singles into doubles and doubles into triples. Something has to give and the Auburn pitching staff will need to work its damndest to stop an bleeding this weekend. "With Cory Luckie not going on Tuesday, we wanted to make sure he had our next start. Dexter (Price) was supposed to go yesterday and that didn't work out either so what we decided to do was slide Cory to Friday night. We are also going to slide Cole from Sunday to Saturday and then try and figure out Sunday after we get a read of what kind of club they have, whether they are lefties or righties. The first two night will determine who we go with on Sunday." We do know this. Arizona State will trot out two RHPs. On Friday, Luckie will face JR Seth Blair (right) (2-0, 3.38 ERA). Good news for Auburn is that Kevin Patterson will be in the lineup, meaning a little extra pop for the Tigers. Auburn will also come in pretty well rested, with both of their midweek games being rained out. However, there is a big difference between rest and rust, but seeing as how Auburn got off the plane at 3:45 local time Thursday and had practice about 45 minutes later, CJP is getting his guys ready early.